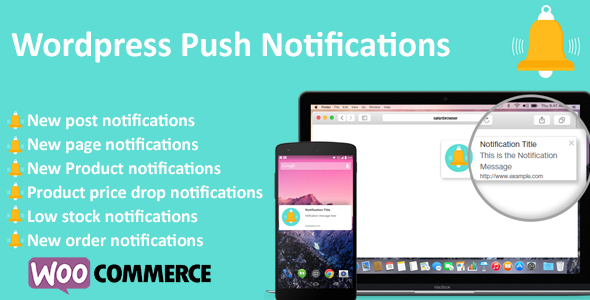 WordPress Push Notification plugin will Send automated push notifications about new product launches, price-drops, new blog posts and much more. If you want to send push notifications with the link to your website post or product from your website our plugin will do that. You will get regular visitors to your site by this browser push notifications feature for your site. Unlimited push notifications and unlimited subscribers. All subscriber IDs saved in your database.